Muv-Luv Fanart Doodles - Yuuko's Laboratory - The Muv-Luv Community Forum! 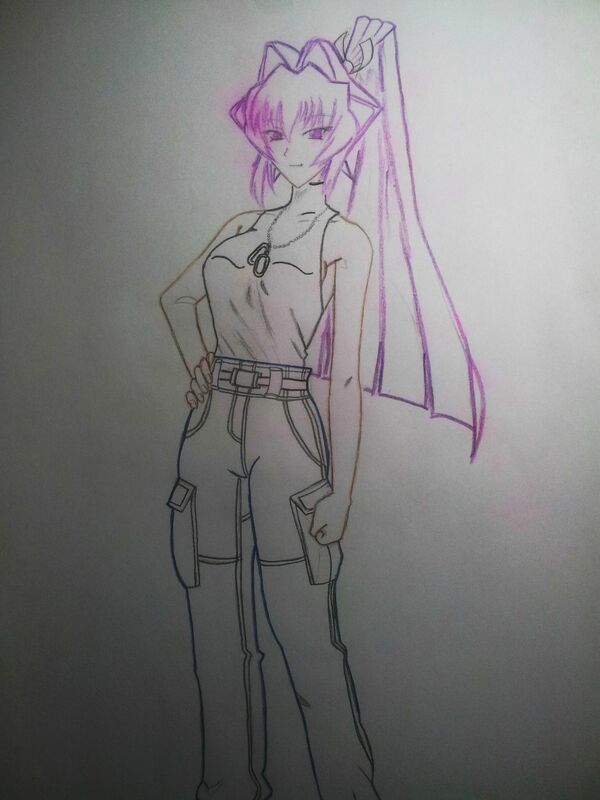 Anyone out there making some Muv-Luv fanart or small doodles out there? I attempted to draw Meiya during my lunch break today. 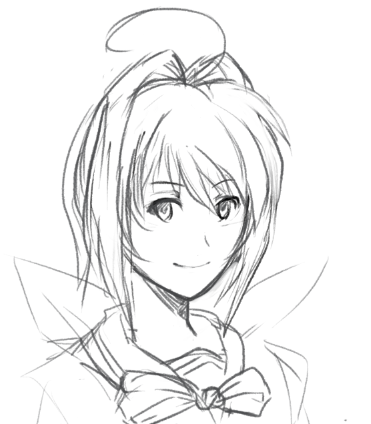 Messed up pretty badly considering it looks more like a generic anime girl instead of Meiya, even if it's stylized. Ok, so those are fast doodles. My envy level is reaching full capacity. P.S: Deviantarts or similar guys? Your Mikoto sketch is really adorable, it has a nice air of innocence to it. Great job! I draw this a while back, some tracing over the sprite. Thanks, I was aiming for that. Now allow me to ruin it for you. You think that's extra mikoto or unlimited mikoto? Rengo, I was just about to compliment you. I really was. And then that happened. Why. Induce. Aneurism?! Edit: I'm gonna guess... GIRL! I wanted to illustrate the TSF equivalent of the Spanish Air Force's C-11, a Mirage III, but it ended up as a relatively nondescript F-5F with a Spanish Air Force roundel. I am aware that the right shoulder and arm, and the GWS-9 look off. The TSF was meant to have the paint scheme used by the SAF, which would have distinguished it from other F-5F, but camo is a pain. Despite your own criticisms, temez, that is still pretty friggin' awesome. I like seeing good TSF fanart when it pops up. And Klash, Sumika heals all wounds. You were right to invoke. Going by what Mikoto is wearing, it's Unlimited. edit:haha just saw that comment about Mana. Mikoto is cute no matter the gender, cuteness knows no border. Dang it, I've reached my daily like limit ! You shall get more Luv tomorrow ! G-temez, that c-11 TSF looks awesome! It's a lot harder to do a good drawing of an inorganic subject than of an organic subject, and you've done an amazing job. Very detailed. I'm sure every backer is really grateful to have been allowed to pledge money for such a great VN. I'm conflicted regarding Sumika, but thanks for the treat. But, seeing as Sumika heals all wounds... Could I assume it's the ML Team's will that I live? Anywho, a lovely picture of Sumika indeed, as mentioned, it's enough to heal a summary execution carried out by the Commisars of the Imperium of Japan (/Man. I like my 40k.). EDIT: And of course, I'm very, very happy to be able to give my money for Luv. Indeed! I too would like to see the finished product! Wha.. ? A-Are you psychic ?